If You Could Read My Mind,...Would You Want To? 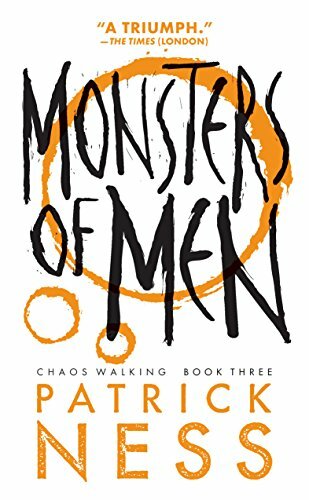 I'm taking a quick break from reading to tell you about the Chaos Walking series by Patrick Ness. So far, I've read (in the order the author suggests) The Knife of Never Letting Go and the short story The New World. 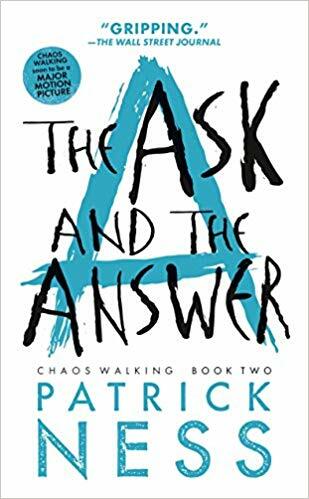 I am currently reading The Ask and the Answer, and I am absorbing it like crazy. I was already a fan of the author, but it takes things to a different level for me when I decide to invest in a series. It's actually something I don't do very often unless the first book is truly excellent. My reading time is valuable, and I believe variety is the spice of life...and of reading. A writer has to really impress me for me to set aside my TBR cart and stick with one author for awhile. And to stick with one author for one storyline...for several books? Yes, it has to rank pretty dang high and give me something unexpected. The story revolves around a boy named Todd who lives on a planet, the New World, that has been settled by people who left the Old World for a simple way of life. You know, getting back to basics and living like Little House on the Prairie. The problem is the settlers get infected with something that makes it where everyone can hear what each other is thinking all the time. Out loud. And this is not a good thing. 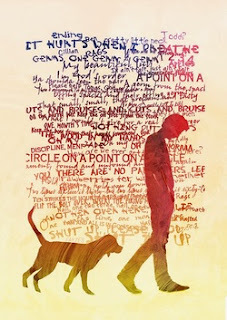 At the opening of the novel, Todd is about to become a man (he's turning 13), and once that occurs, he will be the last child to become a man in the settlement. You see, there are no other children because there are no women. The infection that made it where men could hear each others' thoughts also killed the women in the settlement, including Todd's mother when he was just a baby. Then, one day, while Todd is in the forest with his dog - just trying to get away from town and the noise of everyone's thoughts coming at him - he feels a quiet. He feels he is near something unlike anything he's ever known before. And he couldn't be more right. In a nutshell, it's Shirley Jackson meets Ray Bradbury and directed by the Twilight Zone. I think one of the things I like the most about the first book is I kept thinking I knew where it was going, and I was wrong. It's a very original idea with good twists and turns. I really like the idea, too, of these people who traveled through space to reject technology. Interesting. Now, it's time for me to get back to my book. I can't wait to see what happens next!